In 1793 George Ward, a successful merchant in the City of London, bought Bellevue, which was part of Mount Edgcumbe holdings and consisted of a house, garden, yard and seven fields amounting to just over seventeen acres in all. Belle Vue mansion was renamed Northwood House and the estate became known as Northwood Park. 1798 Ward acquired the 142 acres of Debourne Farm – a house, yard, garden, orchard and 19 fields. Also part of the Mount Edgcumbe estates and sold off in 1787, this property along with Bellevue formed the nucleus of the estate that eventually covered 217 acres. c.1799 Ward rebuilt the mansion of Bellevue, which was part of his Park, and renamed it Northwood House. between 1793 & c.1815 Round House, a toll house, was built by Ward and let to the Highways Commissioners for 20 years. In 1813 Ward represented Northwood on the Highways Commission. Debourne Lodge, which can be attributed to John Nash (designer of among others Brighton Royal Pavilion, London’s Regent’s Park and Regent’s Square) or his firm, stands at the southwest entrance to the Park. It and the Round House appear on the Ward Estate maps of c.1815 and c.1817 although they aren’t named. Neither building is part of the current estate but are still in existence. by c.1817 The Park wall, built by master builder Henry Brading, was completed. The wall is approximately six feet in height. Church Lodge, the Doric lodge designed by John Nash, was built. c.1837 Northwood House was rebuilt and remodelled. Papers from Northwood House held at the British Library include architectural drawings from Nash’s office as well as others bearing the name of G.J.J. Mair. The eastern and northern elevations are similar to those of the previous house. A western wing and an entrance pavilion on the north side opening onto a forecourt with a side wall of classical design concealing the stable block are new additions. Grounds were modified to a design by James Pennethorne, an adopted son of Mrs Nash who became Nash’s business successor. The modern Ward Avenue formed the boundary between the pleasure gardens and the park. The kitchen garden was where the Park Court flats now stand. An old wall and a fig tree survive. 1849 George Henry Ward died and the estate is inherited by his nephew, William George Ward. 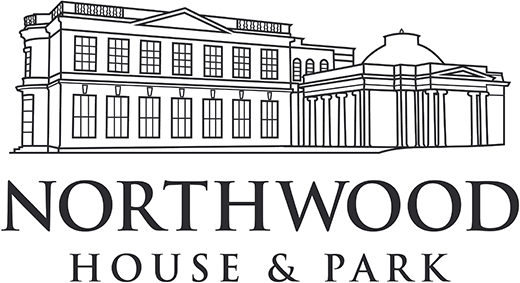 1852 – 1863 Northwood House and grounds leased to Robert White Esq, who possibly operated a school from Egypt House and may have leased the land from Northwood Park as playing fields. 1882 William George Ward died and the estate is inherited by his son, Edmund Granville Ward. 1902 – 1906 A group of Benedictine nuns who were exiled by France lived in Northwood House. 1914 – 1918 Northwood House was used as a Red Cross Hospital. 1915 Edmund Granville Ward died. 1916 Wilfred, Edmund’s brother, died. On 4 September 1929, HRH Princess Beatrice, Royal Governor of the Isle of Wight and the youngest daughter of Queen Victoria, accepted from Captain Ward the deed to Northwood House and grounds. On this sunny, autumnal day, under the gaze of a large gathering of townspeople, school children, representatives of the civil and social life of Cowes and of various Island public bodies, the Princess handed the deeds over to Mr F. W. Beken, chairman of Cowes Urban District Council. 1974 Medina Borough Council took over the House and grounds from Cowes Urban District Council. 1978 Northwood House Charitable Trust formally was registered with the Charity Commission. 1996 Isle of Wight Council succeeded Medina Borough Council as sole trustee of the Charity. 1998 Isle of Wight Council attempted to let the House on a long lease to a developer who planned to turn the House into a hotel. Friends of Northwood House formed and successfully stopped the development. 2002 Amended scheme adopted increasing the number of trustees to seven – four from nominating bodies of the Isle of Wight Council, the Friends of Northwood House, Cowes Town Council, Cowes Community Partnership and three co-opted trustees. 2004 Isle of Wight Council renovated the downstairs room and moved their register office to Northwood House. 2010 Isle of Wight Council relinquished its beneficial rights by withdrawing its support and leaving the trustees of Northwood House Charity Trust to manage the estate. 2012 Northwood House Charitable Trust Company Limited established.